Islamic University of Gaza - What is Islamic University of Gaza? Islamic University of Gaza (also known as IUG, IU Gaza, or The University of Gaza) is an independent Palestinian university established in 1978 in Gaza City. 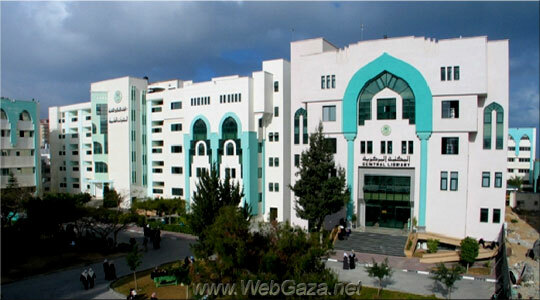 IUG is an independent academic institution located in Gaza . IUG is a home to the well-planned programs, a way to the different community levels and a place for researchers and good teachers. IUG is a member of four associations: International Association of Universities, Community of Mediterranean Universities, Association of Arab Universities and Association of Islamic Universities. Prior to the establishment of the Islamic University, students of Gaza Strip had to seek their higher education in Egypt because Gaza Strip lacked universities by then. In 1967, it deemed necessary to a group of businessmen to establish a higher education institution in Gaza Strip to serve thousands of students and to help them save their time, money and effort. On that account was the establishment of Islamic University in 1978. Starting with three faculties only, IUG developed its facilities and academic departments to have ten faculties at the moment to offer BA. B.Sc., MA, M.Sc., Diploma and higher diploma in a variety of disciplines. Through sincere and continuous efforts and because of its highly qualified graduates, IUG has won both national respect and international fame.